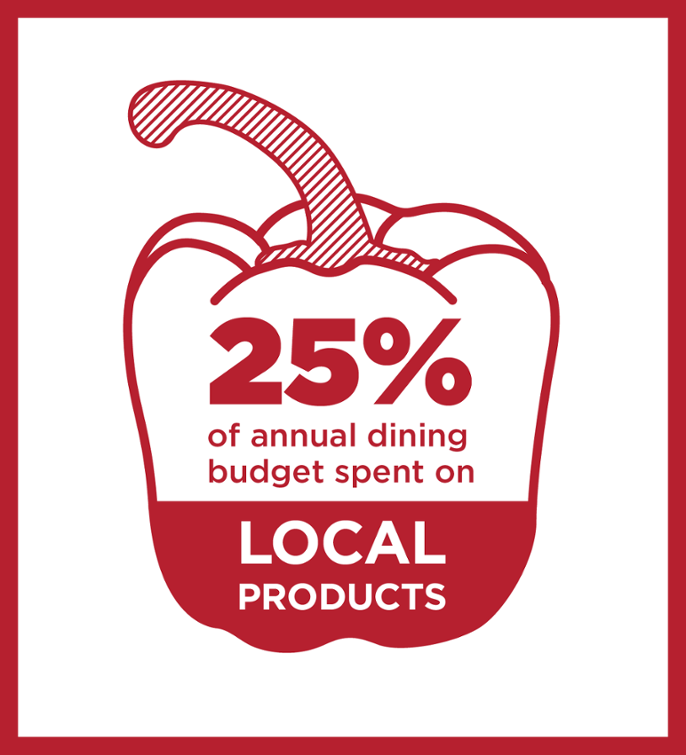 Everyday Miami University Dining Services serves over 20,000 students, staff, and faculty on Oxford’s and the regional campuses. We are proud to have well over 12,000 meal plan holders and are committed to providing them with the highest level of quality and service. At the heart of our dining services is the Demske Culinary Support Center (DCSC). Located just off campus on Wells Mill Drive, DCSC has been the food service headquarters for Miami University since 2001, serving as a warehouse, production center, and distribution hub for all food served in our operations. When biting into your favorite Uncle Phil’s sandwich, you are eating a product of the Demske Culinary Support Center. While most universities partner with external companies to supply their food, we are proud to operate our very own culinary support center. There are many advantages to operating a central warehouse and production facility rather than relying on a corporate company to provide our patrons with food. Because of the facilities and amenities at DCSC, we are able to make more affordable decisions. We purchase our foods at high volumes for a lesser amount and store them in our on-site warehouse. Produce, for example, averages about a third of the cost to process ourselves versus paying someone else. Using the highest quality of food is paramount to our food service. Our production facilities allow us to source from a number of vendors, including a great deal from local farmers and growers. On a tour of the DCSC, you’ll learn how Miami has been able to become one of the largest collegiate foodservice programs in the country. From receiving products to prepping and finally delivering to the dining locations, we’ll show you what we do with different items to ensure safety and freshness of the food we serve daily. The tour is great for any sized group and lasts about 1 hour. Call 513-529-3721 to set up your tour.